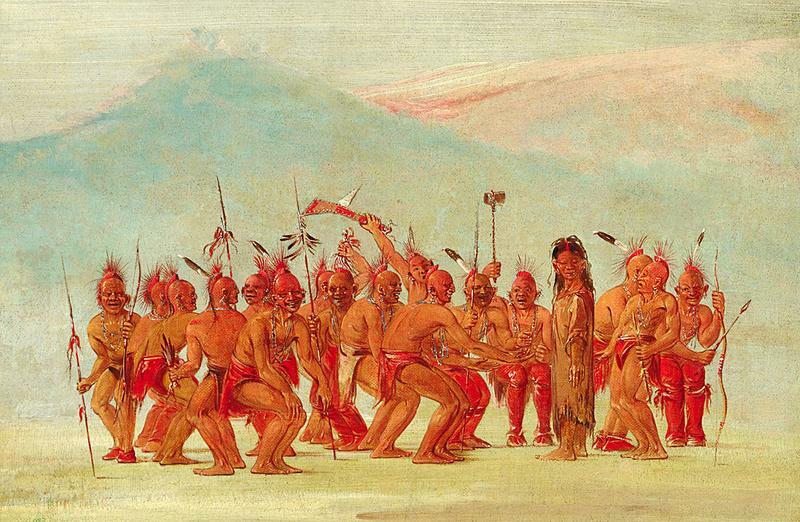 George Catlin was a painter from Pennsylvania, USA. His works focused on Native American life and culture as he was interested in capturing North America’s “vanishing race” and spent weeks sketching and painting among indigenous folks to capture their “untouched” lifestyles. His most prolific expedition was with William Clark up the Mississippi River Territories of the United States started in 1830. While he documented tribes he visited, he was hostile toward non-european customs and wrote anti-two spirit sentiments toward the Sac and Fox village he visited. Note on “Berdache” and Western Colonization Efforts: “Berdache” was a term given by the French during North American colonization for folks born male and given traditional female dress and roles along with (in some traditions) spiritual and shaman related properties and abilities. However, this term has been used offensively and extraneously since its origin in France and was later popularized by the field of anthropology. However, many indigenous folks have claimed the term two-spirit in lieu of this term and prefer this. Most depictions that exist of two-spirit individuals in recorded history are from westernized colonization efforts and research such as Catlin’s. Note that his experiences through writing, art, and recordings of these individuals can be demeaning and untrue to the traditions of the Sac and Fox Nation’s two-spirit individuals. 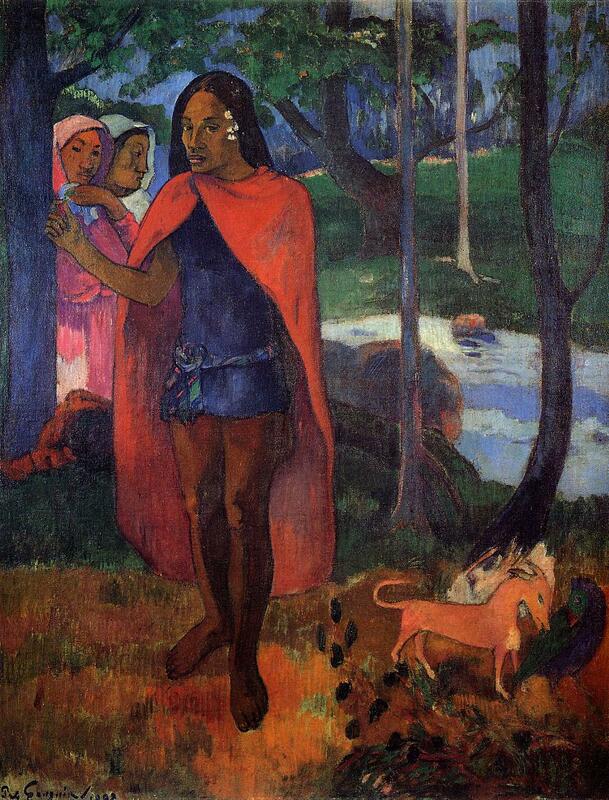 Significance to Queer Art History: The two-spirit folks in question of this tribe in the Sac and Fox Nation’s village (located in Illinois, USA) were chosen as young males who deviated from norm in their choices during their upbringings. Some individuals were documented to have willingly chosen to perform women’s roles in their village or may have dreams that they must fulfill a role as a two-spirit individual when discussing visions. The dance (and feast, as written in his journal) in Catlin’s piece was supposedly held annually to honor the two-spirit individual’s (or multiple persons) role/s in the tribe as a spiritual shaman and/or medicinal healing figure as well as a thanks for having been gifted with these things. Catlin, George. Illustrations of the Manners, Customs, and Condition of the North American Indians in a Series of Letters and Notes Written during Eight Years of Travel and Adventure among the Wildest and Most Remarkable Tribes Now Existing, with Three Hundred and Sixty Engravings from the Author’s Original Paintings. 214-16. “Biography of George Catlin.” Biography | George Catlin. Accessed August 06, 2017. http://www.georgecatlin.org/biography.html. “Dance to the Berdash by George Catlin.” Smithsonian American Art Museum and the Renwick Gallery. Accessed August 06, 2017. http://americanart.si.edu/collections/search/artwork/?id=4023. TWO TAKES ON TWO SPIRITS | Recording the History of Multiple Genders in Native North America. Accessed August 06, 2017. https://www.eiteljorg.org/interact/blog/eitelblog/2013/09/11/two-takes-on-two-spirits-recording-the-history-of-multiple-genders-in-native-north-america. Williams, Walter L. “The Berdache Tradition.” In The Spirit and the Flesh: Sexual Diversity in American Indian Culture. Boston: Beacon Press, 2004. Wishart, David J. “Encyclopedia of the Great Plains.” Encyclopedia of the Great Plains | BERDACHE. Accessed August 06, 2017. http://plainshumanities.unl.edu/encyclopedia/doc/egp.gen.004.